Do you love to travel but also want to keep your carbon footprint in mind? Why not travel to some eco-friendly destinations? In celebration of Earth Day, we’ve put together our list of the top 10 eco-friendly destinations to visit in 2019. Eco-friendly tourism is tourism that is travel that takes into consideration natural conservation areas. It sustains well-being in the local environment and involves education to conserve the local ecosystem. Costa Rica leads the way as one of the most successful ecotourism destinations in the world. It is home to the largest percentage of protected areas in the world. This country in Central America single-handedly supports 5% of the world’s biodiversity. It boasts 20 natural parks, 8 biological reserves, 800 miles of idyllic coastline and an outstanding 98.1% of its electricity coming from renewable sources. Take in the variety of wildlife from sloths to Jaguars or rare species of lizards and birds, relax on pristine beaches, explore protected rainforests and hike dormant volcanoes. 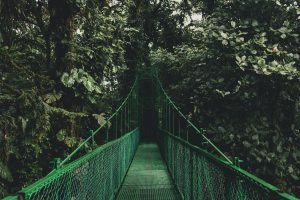 This destination has plenty of eco-conscious accommodation and activities from staying in treehouses to zip lining the forest treetops, you’ll have found your eco-paradise in one of the happiest countries in the world. 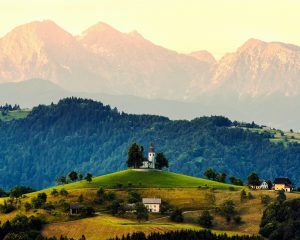 Slovenia borders the Italian Alps. It is often overlooked as a tourist destination, but this country is incredibly eco-friendly. 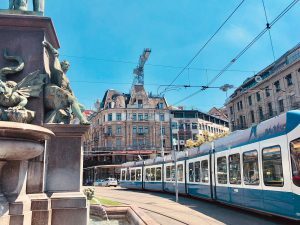 It has a sustainability policy which ensures that 75% of electricity in Slovenia is from hydro-electric dams, what’s more, its capital Ljubljana was voted as the European Green Capital for 2016. Ljubljana is not like most capital cities, the buses run on natural gas and there is an urban electric train. You can enjoy mountain hiking, and visiting eco-friendly farms, offering a unique insight into local life. This will also, in turn, help support the local economy. It really is a truly guilt-free destination. 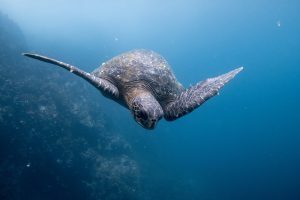 The Galapagos Islands are a living, breathing eco-museum. Located 600 miles off the coast of Ecuador, these islands have their own unique biodiversity with many native plants and species only being found there. The Galapagos Islands were declared the first ever world heritage site in 1978 and today 90% of the land is designated as a national park. A popular destination for nature lovers from around the world, here you can see rare species and experience diving and snorkelling. However, to ensure that no damage is caused to the islands visitor numbers are restricted and visitors are expected to respect these unique islands and be wary of anything they may leave behind. Borneo is famous for its biodiversity, lush vibrant rainforests, coral reefs and rare animals. This is a location that needs to be preserved for future generations. 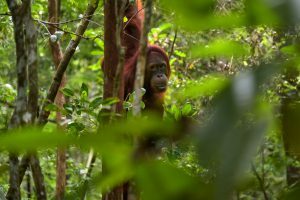 Enjoy snorkelling, scuba diving, trekking in the jungle and seeing orangutans in their natural habitat. 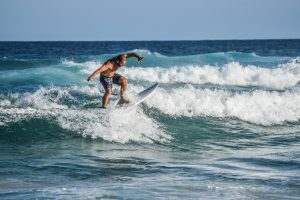 The island puts sustainability at the top of its agenda and there are plenty of tourism companies to choose from that promote eco-tours that adopt the 17 United Nations Sustainable Development Goals as their guiding principles. 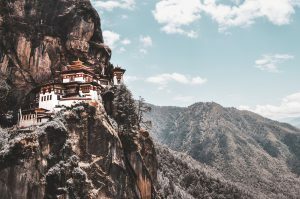 Have you heard of Bhutan? If you haven’t don’t worry, there’s a reason! This Buddhist Kingdom is one of the least visited countries in the world and it’s deliberate. The country is slowly developing its tourism industry to preserve natural resources and protect its ancient and unique culture. As a tourist, you will have to pay a pricey $250 tourist tax per day but this money goes straight back into the local communities and ensures you have an official guide, food, transportation and accommodation. Nature is an important factor in Bhutanese culture and the country has a law that ensures that 60% of the country must remain forest to preserve it for future generations. Not that Bhutan has to worry, as the country currently absorbs more carbon than it emits! 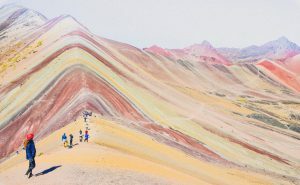 Peru is a popular destination to tick off any bucket list, but it is much more than Machu Picchu. The country boasts over 25,000 species of plants and is dense in flora and fauna, 30% of which you can only find in Peru. Deforestation is still an issue within the country, however, the Pacaya-Samira National Reserve, the Manu Biosphere Reserve and the Tambopata National Reserve are the three largest protected rainforests in the world. Patagonia is a region within the southern end of South America. 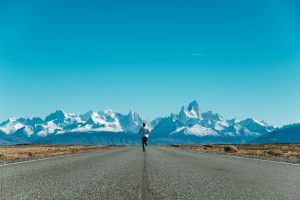 It encompasses both Argentina and Chile and offers lots for nature lovers from glaciers, lakes to snow-capped mountains and national parks. Visit the Torres del Paine National Park to see an unspoilt landscape boasting azure lakes and one giant blue glacier. There are only two recommended ways to visit the national park, by either trekking or horseback so as to ensure you don’t damage the natural ecosystem. Botswana is the ideal location for anyone looking to experience a wildlife safari in Africa that is eco-friendly. 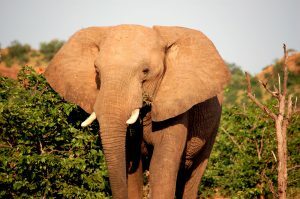 This country is home to 40% of Africa’s entire elephant population and offers a variety of eco-friendly lodges which focus on eco-conscious safaris. With over 38% of the country devoted to national parks in this country is a wildlife paradise. In their aim to offer guests a totally emission-free experience the country uses solar-powered boats and electrical vehicles for game viewing and many eco-lodges use solar lighting and recycled water. New Zealand offers never-ending landscapes, glaciers, fjords, volcanic plateaus and subtropical forests. And if that’s not enough you can also enjoy dolphin and whale watching. A third of the country’s land is dedicated to national parks, reserves and heritage sites, so there’s plenty to see and enjoy. 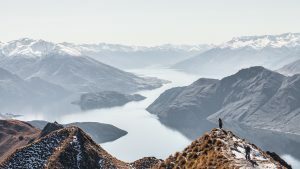 To gain a unique insight into the country’s legendary landscapes, visit The White Island, Mount Cook National Park, Poor Knights Islands Marine Reserve and Wai-O-Tapu Geothermal Reserve. Iceland is one of the most environmentally conscious countries in the world. The country makes utilising its natural geothermal power for heat and electricity a top priority. It fights against ocean pollution and follows sustainable fishing practices. 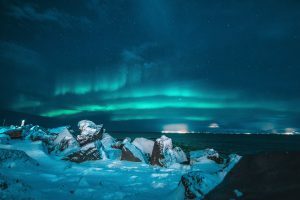 This breathtaking island offers you fjords, natural hot springs, glacier hiking, active volcanoes, whale watching and the chance to experience the Northern Lights. What’s not to love? We hope this article has helped inspire you to embark on your first eco-friendly adventure. Are you travelling currently and do you have a story to tell? Get in touch with us here. To celebrate Earth Day we thought we would pick our top 10 tips for eco-friendly travel. These ten practical tips will help ensure you stay eco-conscious, whilst enjoying the trip of a lifetime. Did you know that plastic bags can take up to 500 years to biodegrade? 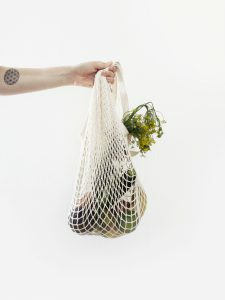 When travelling it’s best to invest in a reusable shopping bag for picking up essentials in the local market, or for packing your favourite trinkets. Reusable bags not only are eco-friendly but they also come in a variety of patterns, fabrics and styles. Just remember to invest in one that is a plastic alternative. The more a plane weighs, the more carbon emissions it produces. So skip packing a variety of outfits and instead pack only for what you need. The environment will thank you. When on holiday use public transport if you can. This means you’ll not be creating any additional carbon emissions from private transport. It will also enrich your travel experience as you’ll get the opportunity to meet locals. If there is also an option to use bicycles or walk around your destination this is a good idea also. Exploring your destination on foot or by bike will allow you to create a personal itinerary that takes in what you want to see. It can also be an incredibly rewarding experience. We know that flying can be the quicker option, but if you cut out just one five-hour flight your carbon footprint will be a lot lighter. Not only that but you will get to see sights you would have overlooked on the plane. From the rolling countryside, tiny villages and curious locals you might find these bus journeys the most magical moments from your trip. 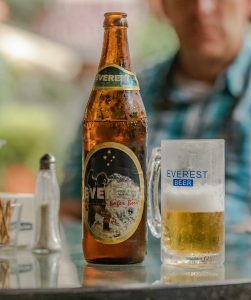 Cut down on your beer mileage and enjoy a local beer instead of opting for a further travelled imported option. Not only will you get to enjoy something that many of your friends will have never tried, but your tipple will also be low-carbon! When staying in your hotel treat it as if you were at home. 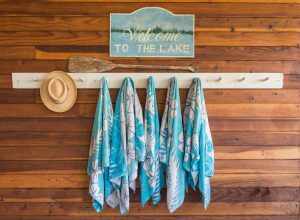 Don’t request clean towels daily when they’re not needed and avoid long hot showers. Something we often forget in hotels is to turn off lights, the aircon and the TV when we leave the room. Unfortunately, when travelling you can’t avoid all carbon emissions. 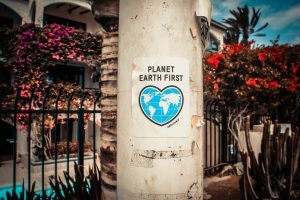 If you really want to travel eco-friendly then look into booking a holiday with a travel company that offers to offset your carbon emissions or one that accounts for your trip. There are many companies out there that can help you stay conscious of this and that can offer a holiday that will keep your emissions low. Plastic bottles account for a huge amount of environmental waste and pollute our oceans. If possible you can bring a reusable water bottle that can be filled with safe water from your hotel for free. If you are going to be backpacking and won’t always have access to clean water then it’s a good idea to invest in a filtered water bottle. 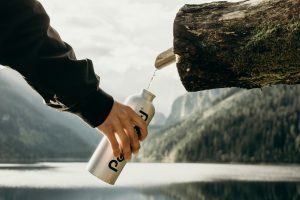 These bottles come with a filter installed that will purify undrinkable water, allowing you to drink without having to pay for expensive bottles of water and offset the carbon emissions caused by using the plastic option. When on a hiking trip always stay on the marked trails and remember to keep a safe distance from any animals you see. Do not approach wild animals in their natural habitat, we’ve all heard the story about the poor dolphin who died whilst people rushed to get a selfie. Also if you go off the path you may trample or damage protected flora and fauna. The path is there for a reason, use your common sense and follow it! Travelling in a smaller group tends to have less of an environmental impact so if you are travelling with a tour operator enquire about what their group sizes are before you book. Another handy tip would be to ask them how they give back to the local community, this will help you determine which tour operator to book with as you’ll want to go with a tour operator that values the local community and helps empower the local tourist industry. We hope this article has helped get you excited for eco-friendly travelling. Are you travelling currently and do you have a story to tell? Get in touch with us here. Are you looking for somewhere to head this Easter holiday but can’t quite make your mind up where? 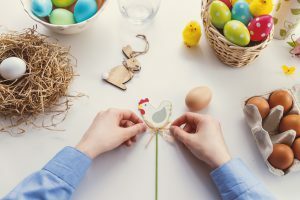 Easter isn’t just a time for religious holidays, we’ve picked our top ten destinations to celebrate Easter this year so you can enjoy tulips, chocolate and some spectacular celebrations. Enjoy warm weather, beautifully decorated historic churches, the Spanish Steps in bloom and parks bursting with flowers. Surprisingly museums in Rome around Easter are pleasantly uncrowded. If you want to celebrate Easter the highlight for Catholics is the Easter Sunday mass in St Peter’s Square and the urbi et orbi blessing from the Pope who leads the Stations of the Cross near the Colosseum on Good Friday. 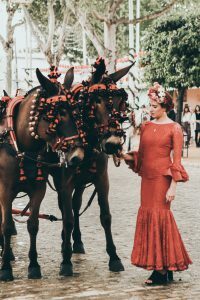 Seville is famous for its Easter Week celebrations, often a tourist attraction in their own right. Here you will enjoy a week of activities from processions celebrating the passion of Christ and his death to floats depicting the Easter story moving through the old town. Enjoy the spectacular midnight cavalcade on the eve of Good Friday and prepare to look forward to a weekend of festivities. A truly unique celebration of Easter you will unlikely see elsewhere! Easter is celebrated in Jerusalem by a variety of Christian denominations. Expect to see a diverse range of processions and Stations of the Cross led along the Via Dolorosa. 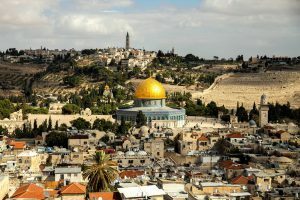 You can attend services in numerous languages at the Church of the Holy Sepulchre and Garden Tomb, and you can enjoy Easter Day communion on the Mount of Olives. The US capital comes alive at Easter with special easter egg hunts at the zoo, the public easter egg roll and the Easter Bunny making an appearance at the White House. But that’s not the only festival to enjoy! 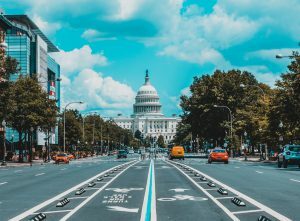 With beautiful pink and white cherry blossoms lining the streets, you can also celebrate the National Cherry Blossom Festival with fireworks, contemporary art shows, a blossom parade and cultural performances. 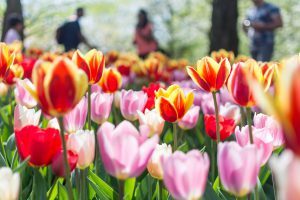 If flowers are more your thing then look no further than the flower spectacular at Keukenhof. Enjoy the showcase garden where Dutch growers show off the best spring flowers the world has to offer. Over seven million bulbs bloom, with the likes of purple crocus, bonny daffodils and multi-coloured tulips. There are also flower arrangement and photography workshops on offer if you’d like to try your hand at it. Otherwise, you can just relax and unwind, perfumed by the beautiful blooms. 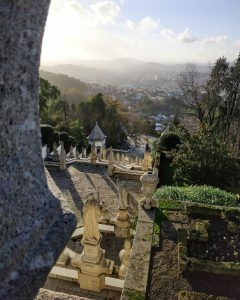 Enjoy Easter in one of Portugal’s most beautiful towns. The city is alight with torch-lit processions, street alters are decorated with flowers and candles and farmers bring their sheep into town for blessings. 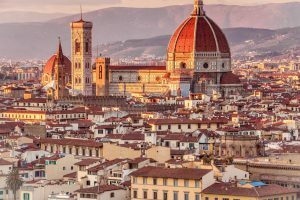 This picturesque town also boasts many baroque monuments, fountains and churches to explore, all whilst you enjoy the Easter specialities of roast lamb, chocolate and almond Easter eggs and sweet foldar di Pascoa bread. 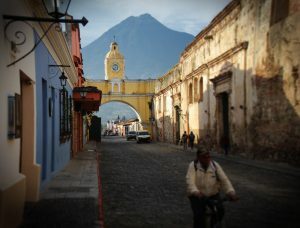 Guatemala is famous for its Easter multi-coloured ‘carpets,’ that run along the city streets. Antigua boasts some of the best processions in Latin America and you’ll be sure to see these during Easter week as purple robed locals take to the streets with their floats to depict the life of Christ. Spend Easter in Vienna for a more laid back experience. 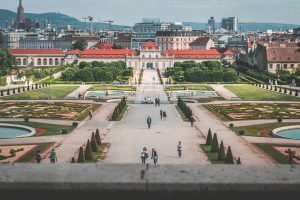 There are a large Easter market and plenty of activities for kids in Schönbrunn Palace, but if you’d rather try something else you can enjoy the cafe terraces and Blues Spring Festival for a different Easter feel. Easter is a big celebration in the Philippines. The country has one of the world’s biggest Catholic populations, so this holiday is widely celebrated. 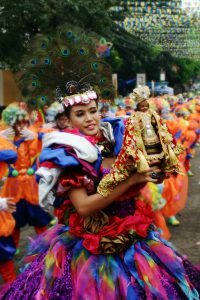 The Makati district of Manilla hosts colour celebrations featuring roadside shrines and creative folk art. There are plenty of parades and processions including religious re-enactments, marching and choirs. You’ll find a carnival-like atmosphere and plenty of sweets and rice puddings on sale to celebrate this important holiday for Philipinos. 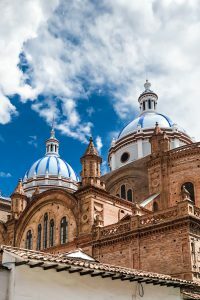 Cuenca is a colonial-era city that still has many Spanish influences. The religious processions play a key factor in the city’s Easter celebrations. A local tradition is to buy herbs, blessed in church and used to decorate the homes. Tuck into candied apples and fanesca, a stew made from salt cod, beans twelve grains honouring the 12 apostles. We hope this article has helped inspire you to embark on your next travel adventure. Are you currently travelling and have a story to tell? Get in touch with us here. 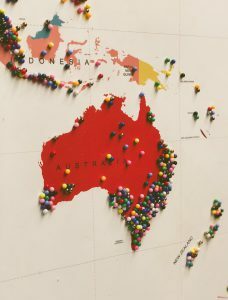 Australia is a popular location for expats to move to. This English speaking country with guaranteed sunshine and laid back lifestyle appeal to both students and professionals alike. But what is life really like down under? 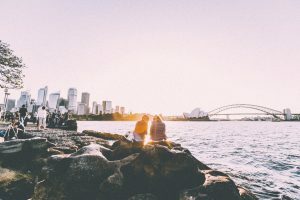 We’ve put together 20 things every expat should know about Australia before living there so you know what to expect in your new found home. 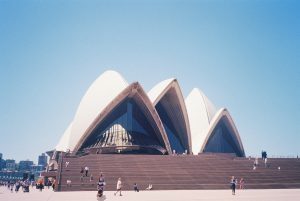 Housing in Australia’s biggest cities such as Melbourne or Sydney is similar to that of big cities in the UK. 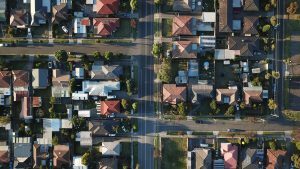 It is possible to find cheaper housing in Australia but this is often in more remote locations. So if you don’t fancy living in the outback and want to buy then you’ll have to get your head around the market, with auctions, the preferred method for selling houses. With the average flat in Melbourne city centre being around £285,000 you better start saving for that deposit sooner rather than later. The cost of living in Australia is high, although the minimum wage is more than that of the UK at $18.93 per hour. However, the cost of daily essentials at your local supermarket can sometimes be higher than you would have expected. If you fancy enjoying a box of Cadbury’s Favourites (similar to Heroes) this will set you back $19 or £10.50. Alcohol also can be pricey, with some bars in Melbourne charging around £10 a pint. It is worth it to shop around to be careful with your expenses. Talk to other expats and locals alike, to see where the best bargains are. Thankfully Australia has a great reciprocal health agreement with the UK and Ireland. This means you can sign up for a Medicare card relatively easily. 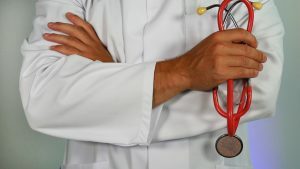 Just be aware of the Medicare Levy Surcharge, which is an additional tax paid by those who earn over $90,000. You often forget how isolated a country Australia is. 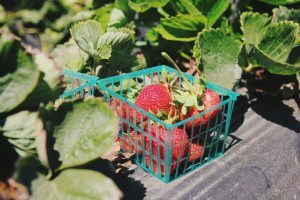 Fruit and vegetables are grown locally and aren’t imported due to the risk of infecting or damaging the local ecosystem. This means that if there is a crop shortage the price of certain fruit or veg can skyrocket. I know this seems obvious, but sometimes you do forget just how far away Australia is. Travelling back to the UK or Ireland can take up to 28 hours of travelling and often by the time your body has just adjusted back to GMT you have to turn around and go back. It can be easy to forget just how huge Australia is, but when you take a five and a half hour flight and get off the plane in the same country it really hits home. If you embark on a road trip you’ll be able to see just how huge this country really is. Aussies love their sports. It is an important part of everyday life and people will love to go out of their way to remind you if Australia happens to beat your home country. If you are into sport then you are in the perfect country. The Aussie lifestyle is catered to an active lifestyle and there’s plenty of things to see and do. Not only that but guaranteed good weather to do it in. Pukka pies are a big thing in Australia. Not what you’d expect, but these steak-filled pies are the favourite go-to snack before any big game. Not that they’ll call them that, bank holidays are called Public holidays in Aus and there, they have plenty. Each state has different holidays but one thing you’re guaranteed is that you’ll enjoy more than you ever had at home. The Queen’s birthday even counts as a public holiday in Australia, even though it isn’t one in the UK! When you move to Aus you imagine spending every weekend on the beach, but the reality is that in summer the beaches are hot, with some places getting up to 40 degrees. 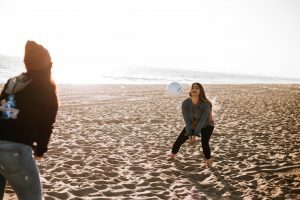 It isn’t always practical to enjoy the beach in summer, so many opt for beach activities in winter, so you can enjoy things like beach volleyball without worrying about sunstroke. The favourite phrase that reminds all Australians to wear suncream. You’ll know this phrase like the back of your hand in no time. Slip on a shirt, slop on the SPF50+ sunscreen and slap on a hat. When it’s 40 degrees you’ll thank me. For all you fashionistas out there, this is something to remember. Fashion in Australia is always six months behind since it is Spring/Summer for the fashion capitals of the world New York, Paris and London, it’s actually Autumn/Winter in Australia. Also wearing activewear even when you’re not active is a big thing, so best stock up now so you don’t look out of place. The Aussies have a bit of a reputation for drinking alcohol, but their attitude towards it is different. They approach alcohol like they approach everything – laid back. It’s also helpful to know that you can’t buy alcohol in supermarkets, instead, you have to go to designated liquor stores, but most have drive-throughs. Talk about service! You might be worried about bumping into spiders or snakes in Australia, but don’t let that worry you. The reality is, that unless you’re in the outback or the bush you are unlikely to see anything too menacing. 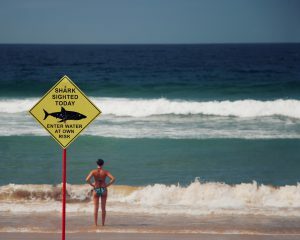 Warnings of death are not uncommon but it’s more often tranquil-looking waters that are harbouring huge saltwater crocodiles (salties), sharks and jellyfish. When you meet someone and tell them you’re from the UK, they’ll often assume you’re from London. Just remember you won’t win this argument, London and Birmingham are completely the same places. Perhaps one of the most surrealist moments as an expat has been walking down Brisbane’s Queen Street Mall in December, in the height of Australian summer and seeing fake snow in the windows. 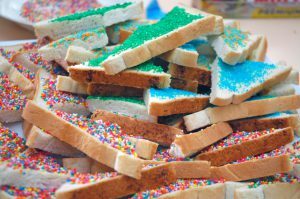 Fairy bread is a party treat that all Australian kids have grown up with. It consists of a slice of white bread, buttered and sprinkled with hundreds and thousands. 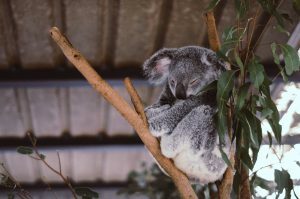 Drop bears are an infamous urban myth that some people may try to convince you are real. They are meant to be bigger than Koalas and partial to human flesh, however, the whole thing, however, is a big joke, they don’t exist! The Museum of Australia has even created a website all about them here to feed into the folklore. Don’t buy into it! You’ll need to school yourself on top Aussie slang. Think esky, thongs and singlets. Some of the most important you can’t skip are filthy, which means angry, lollies which are sweets and chips are crisps. It’s also good to know that in Australia Durex is a brand of cello tape. Once you’ve finished packing up all of your stuff, you then face the challenge of moving all of your personal belongings to your new home in Australia. It’s a daunting task, but it needn’t be, we’ve got you covered! Thankfully, that’s where My Baggage comes in. We specialise in transporting students, expats and holidaymakers belongings all over the world. We’re trusted by over 30,000 customers across the globe. You can read more about our services here. You can also check out My Baggage reviews too. Get a quote below! We hope this article has helped inspire you to embark on your adventure to Australia. 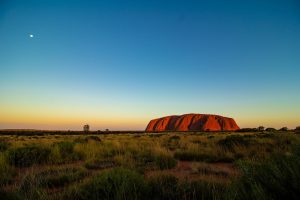 Are you currently travelling in Australia and have a story to tell? Get in touch with us here. 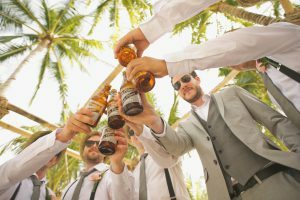 A Working Holiday Visa is the perfect opportunity for you to experience life in Australia as an expat for a set number of years. It’s the ideal way for young people to travel long-term and work in the country they are exploring. The visa can last from 12-24 months depending on your passport and the visa you are eligible for. If you are a British passport holder you get 12 months on your initial Working Holiday Visa. You have to be between the ages of 18-30 when you submit your application and cannot be accompanied by any dependent children. You will also need to provide proof that you can support your trip or afford a return ticket out of Australia. Once your Working Holiday Visa is approved you have one year to use it, otherwise, you will lose the visa. If you apply at the age of 30, you have to make sure you enter Australia before your 31st birthday. 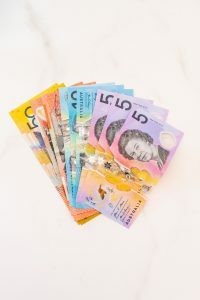 Australia offers one of the highest minimum wages in the world, making it the perfect place to earn a lot of money in a short time frame. 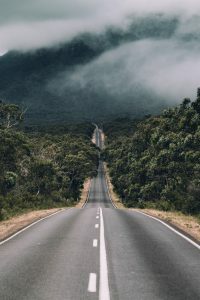 You can use this as an opportunity to create a travel fund to explore the rest of Australia or further afield, or you could work casual hours in Australia to escape the stress and pressure of your previous 9-5 job back home. If you have a specific career path, you can use this as an opportunity to gain international work experience. However, it’s important to remember you can only work with one company or employer for up to 6 months. This means that you might have to change jobs, but will give you varied work experience. Australia offers a minimum wage of $18.93 per hour, which is plenty of money to live comfortably whilst travelling the country. 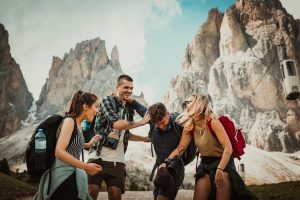 Below we have put together the average hourly rates for the most popular backpacking industries. Hospitality: Expect to earn between $18-25 per hour, plus tips. Coffee shop barista: In Melbourne or Sydney expect $18-$25 per hour. Bar work: Same as the others you’ll expect to earn $18-$25 plus tips. Sales assistant: Slightly higher wages at between $19-$30 an hour with some great staff discounts available. Office roles: Working as an admin you can expect up to $20-$35 an hour. If you have previous PR, recruitment or marketing experience you can expect to earn a higher salary than you did at home. Labour and farming work: If you are an experienced builder or tradesman you can expect to earn over $30 an hour. Farm work really depends on where you are and what farm work you are doing. Cattle farming can pay up to $20 a day, whereas fruit picking wages are only determined by how much fruit you can pick each day. If you want to stay longer in Australia after your first year, then you’re in luck. 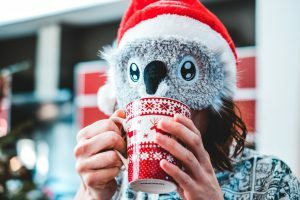 Depending on your passport, you can be eligible for a second year on the Working Holiday visa IF you have completed 3 months of specified work. Specified work is more popularly known as, ‘farm work,’ but it doesn’t have to take place on a farm. You do have to complete a form of regional work to be eligible for your second year. This will usually be away from the big cities you’ll have been familiar with. It can be done in 3 months or 88 days if you work part-time or swap jobs halfway through. Specified work includes jobs like farming, crop picking, fishing and pearling, tree farming, mining and construction. You must complete your three months within your first Working Holiday Visa as any days after this will not count. 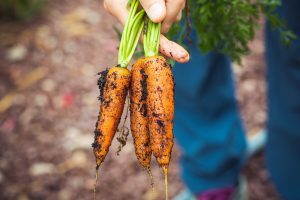 If you don’t complete your farm work in accordance with the rules laid out by the Australian government you won’t be to return to Australia on another working holiday visa. 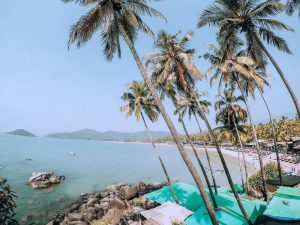 Once you receive your second-year visa you don’t have to use it straight away, just make sure you do before your 31st birthday unless your country of origin allows you to apply up to the age of 35. Remember to keep records of your specified work history, including employment details and payslips as you will need this information when applying for your second-year visa. From July 2019, you’ll be able to extend your stay Down Under for a third year. However, you will need to complete six months of specified work in your second year. Specified work can be anything from regional farming, construction, surveying to mining or fishing. The best way to find out about regional work is through word of mouth. Talk with your fellow backpackers and see if they can recommend any farms, companies etc. You can also find helpful Facebook groups like, ‘Farm Work Australia’ to search for a range of jobs across the country. There are also agencies you can pay to find your regional work. We hope this article has helped inspire you to embark on your first solo travel adventure. Are you travelling currently travelling in Australia and have a story to tell? Get in touch with us here. Did you get your love of travel from your mama? To celebrate Mother’s Day this Sunday we’ve had a look at the best trips to take with your mum. When we get older it’s not often that we get the opportunity to holiday with our mums, so why not set aside some time this Sunday to have a chat about going away together. 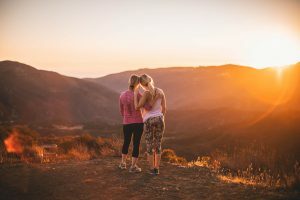 If you could take any trip together in the world with your mum, would any of these make the list? 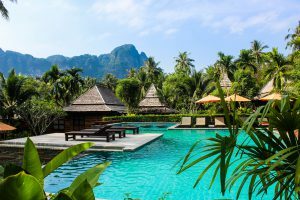 Thailand’s islands of Koh Samui or Phuket are the ideal spot for some rest and relaxation with your mama. Lounge on the sandy beaches, paddle in turquoise waters and spend your time getting pampered in beachside spas. At night you can indulge in Thai cuisine, all whilst bonding over how spectacular this beautiful country is and how friendly and welcoming Thai people are. You’ll never want to go back to civilisation! 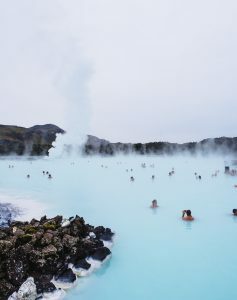 Iceland is fast becoming a firm favourite due to its unique landscape, natural thermal spas and quirky capital city, Reykjavik. Take your mum to a thermal spa, enjoy the natural water and leave feeling relaxed and rejuvenated. Is your mum a shopaholic? Dubai truly is a shoppers paradise. The Dubai Mall offers one of the biggest shopping centres in the world, so your mum can shop till she drops. But that’s not all after a long day of picking out the best bargains you can relax and unwind in one of Dubai’s renowned hotels, sip a cocktail at a beachside bar or lounge by the hotel beach. The perfect break away for the two of you. Maybe your mum would prefer Gaudi to Gucci? Barcelona is the perfect choice for any culture vulture. 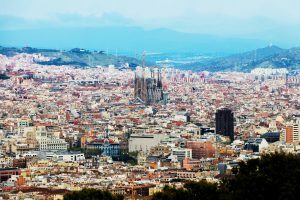 It has everything you need from stunning architecture by Gaudi, museums, a city beach and enough tapas and sangria you can eat! Salud! Experience sleeping in the desert under the stars for an unforgettable trip to Morocco. 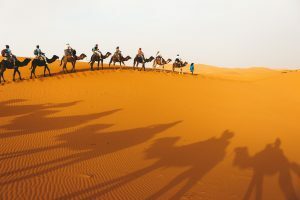 Enjoy Bedouin hospitality, camel rides through the Sahara and mouth-watering food cooked over an open fire. Stargaze at night and unwind in your very own glamping tent. It’s a bit of a step up from the camping holidays you went on as a child! What happens in Vegas, stays in Vegas. If your mum fancies a good old fashioned party then there’s no better place in the world to hit the town. 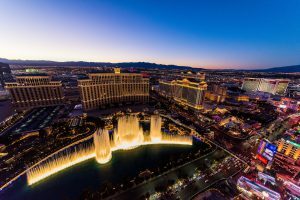 Take in the casinos, pick from a variety of shows, theatres and events. With all you can eat buffets and cocktails on tap, you’ll have everything you need for a good time. 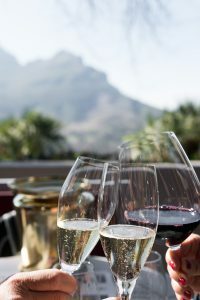 Famous for its vineyards, a wine tasting holiday in South Africa would suit any wine connoisseur. Take your mum on a wine tasting trip throughout the Garden Route, stopping at picturesque spots such as Knyasa and Jeffery’s Bay. With beautiful beaches and dramatic mountain backdrops, this is a holiday that will offer you more than wine tasting. Goa is the perfect location for a spiritual journey. You can choose from a number of yoga retreats, volunteer at local nonprofits and explore the local towns and markets. And that’s not all, you can spend your evenings enjoying delicious Indian cuisine and shopping for one of a kind hand made textiles to decorate your home. 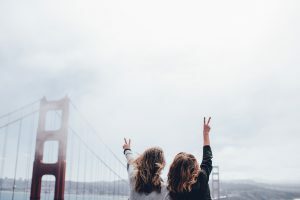 If any of these mum friendly destinations have inspired you to book a trip with your mama, save time and money and ship your luggage ahead to your destination with us. Get a quote here. P.S. Check out out $1M News about My Baggage! – We have signed a deal in the States! What To Bring To College! The ULTIMATE College Packing List by My Baggage! Your academic future is shining brightly on the horizon and it literally feels like your whole life has been leading up to this very moment. The prospect of moving to college is, without a doubt, one of the most exciting times of your life. Though given the fact that it’s likely going to be your first real, extended period of time away from home, coupled with the fact that you have to pack up your entire life and move it into a (tiny) dorm room; it’s also inevitably going to be one of the most daunting times of your life. No pressure, right? 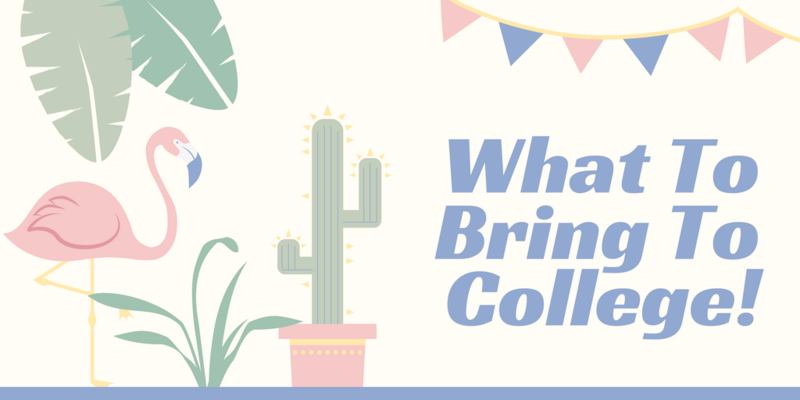 The majority of freshmen haven’t spent more than a few weeks away from home, so unsurprisingly, it’s difficult to know exactly what to bring to college and what to leave behind. What if you forget something important and can’t get it until Thanksgiving? Thankfully, we at My Baggage totally get it (we’re experts at this sort of thing…). To give you a helping hand, we’ve decided to put together a comprehensive college packing list to ensure you have everything you really need for your big move to college. We’ve covered absolutely everything; from your dorm room essentials to your bathroom essentials, to your academic supplies, to your medical supplies, to the important documents you simply can’t leave behind and we’ve even included a few non-essential-but-useful-nonetheless-items; all to save you from any moments of panic on move-in day. But remember: you’re not moving to another planet. 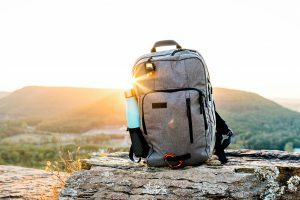 It just isn’t feasible to take everything with you (we hate to break it to you, but college dorm rooms are generally very tiny), so if you realise a month into your first semester that you need something important from home, your parents can always use My Baggage to send it to you without any hassle. It’s important to be aware that most, if not all, college dorm rooms will be furnished with all of the essentials; a bed, a desk, a desk chair, a bedside table, etc. So, generally speaking, it won’t be necessary for you to go all out in furnishing your dorm room. As well, don’t forget to check the size of your dorm room bed! Before packing up mini-fridges, coffee makers and microwaves, it’s always worthwhile checking what your college dorm will be facilitated with. Many will already have these appliances, so all you have to do is think about the kitchen basics. Bring some of your own utensils and mugs, as well as a couple of useful items such as reusable food containers (for lunches) and a water filter. One of the least exciting aspects of moving to college is the thought of doing your own laundry. Yawn. You’ll need something to drag your clothing to and from the laundry room, and don’t forget to bring some spare quarters. However, bonus tip, you can save on dryers by packing up your own drying rack. It goes without saying that you’ll want to bring all of your beloved tech and entertainment with you to college. Check with your college whether you’ll need to pack an Ethernet cable. You can also check if you can bring your own TV. You’ll likely know which items of clothing you want to take with you, but we thought we’d summarise it into a handy list (including a few extras that you may have forgotten about) just to make totally sure you’ve got everything covered. Although you may not think you need a bunch of medical supplies with you at college, it’s always good to have them there just in case of emergencies. 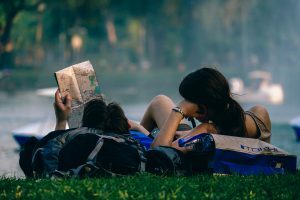 Academic supplies can take up a surprising amount of space in your luggage, so don’t panic, you can always buy more when you actually get to college. Most college campuses will have a store providing all of the essential items you need. But here are a few of the basics you might want to take with you to start with. All of these documents will be super important for your move to college, especially during Orientation Week. Put them all together in a secure file to ensure you don’t lose anything and don’t forget to make copies of some of the most important ones. A few of these items might slip your mind when packing for college, but you’ll be surprised how lost you could be without them when the time calls for it. Many college dorms will already be facilitated with certain kitchen appliances, and they may also have restrictions on items such as candles (open flames can be a fire hazard) and posters/wall art (you may be forbidden from hanging these on the walls). So before you pack up the following items, be sure to check first! Got something you think we should add? Tweet us your suggestions! Once you’ve finished packing up all of your stuff, you then face the challenge of moving all of your personal belongings to your new home at college. It’s a daunting task, especially if you’re moving to another state, or perhaps moving to college fromÂ somewhere overseas! Thankfully, that’s where My Baggage comes in. We specialise in transporting students’ belongings all over the world every single semester. We’re trusted by 30,000 students across the globe. You can read more about our services here. You can also check out My Baggage reviews too. Get a quote below! 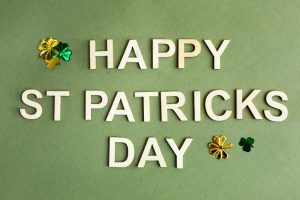 St Patrick’s Day this year falls on a Sunday, which means that Monday 18th March is a national holiday. With a fun-filled three day weekend the pubs will be buzzing, so keep this in mind. 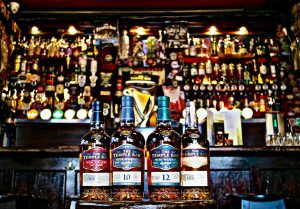 There is plenty to do in the city from the famous parade to bar hopping, but if this isn’t your thing don’t worry, there’s a full schedule of events to suit everyone at the St Patrick’s Festival running from 14-18th March. In Ireland, we do St Patrick’s Day differently. There’s no dyed beer and the River Liffey won’t be green, it’s definitely not pronounced Patty and there’s no pinching of any kind. Leave whatever traditions you may associate with the holiday out the window and hit the city streets. 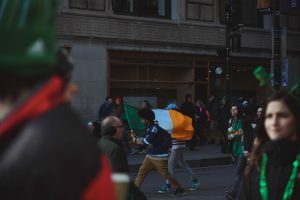 Spend St Patrick’s Day rubbing shoulders with the locals who will show you how to really celebrate the patron saint’s holiday. The St Patrick’s Parade is the main event of the day. It begins in Parnell Sq ar noon and the route will take you along O’Connell Street ending at Kevin Street. If you want to get a good place at the front it’s best to get there early as huge crowds are expected. Aim to get there for 10 am if you want the best view, otherwise, if you’re in need of a wee lie in, head towards the end of the parade route for a better chance to get a look in. If you’re feeling flush you could treat yourself to a grandstand ticket which is available online for €68. This year’s parade theme is storytelling and will feature plenty of dancers, costumes and colourful floats. The parade lasts two hours in total and once it’s over you’ll be able to indulge in a well-deserved pint and feed. St Patrick’s weekend is the busiest time of the year to hit Temple Bar. Many Dubliners prefer to steer clear and head outside this hot spot. It’s often quite expensive compared to other areas of the city but the sea of green is a sight to behold if you’re ready to tackle the crowds. If you decide to explore the city you’ll be spoilt for choice and what’s more the bars don’t close to 3 am so remember to pace yourself! 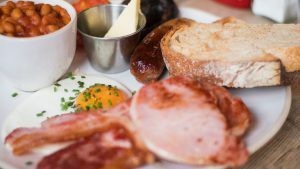 If you find yourself in need of a pick me up before the shenanigans begin, there’s nothing better than a hearty Irish breakfast from the Queen of Tarts. Their hearty breakfast is the best way to start your St Patrick’s Day morning and well worth a recommendation. 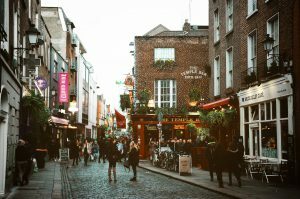 You’ll be spoilt for choice in Dublin for food from sweet treats, traditional stews to vegan vegetarian restaurants. The city will have something for everyone. If you fancy a bite to eat but want lots of options to look no further than The Eatyard, located beside the well known George Bernard Shaw Pub. This outdoor food market will have something to cater to everyone in your group and is well worth the trek. If soaking up in Irish culture is more your thing there will be lots on offer during the St Patrick’s Day weekend. 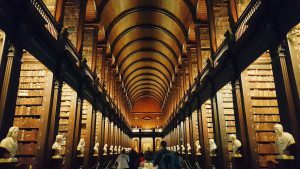 Dublin itself as a city has a wealth of treasure troves, from the famous library at Trinity College Dublin to the exhibition of the Bog Bodies in the National Museum of Ireland. We hope this article has helped get you excited for St Patrick’s Day in Dublin. Are you travelling currently and do you have a story to tell? Get in touch with us here. Travelling solo is one of the most rewarding things you can do. Not only will this experience challenge, inspire and empower you, but it will leave you with memories and friendships that last a lifetime. As a solo traveller, you have the opportunity to plan your trip to go where you want and do what you want. However, travelling alone isn’t always easy and will come with some challenges, just don’t let your luggage be one of them. Remember at My Baggage we will ship your luggage straight to your destination so all you have to worry about is planning your itinerary. To inspire you, we’ve put together this article on 10 of the best locations for solo female travellers to help kickstart your solo travel inspiration. 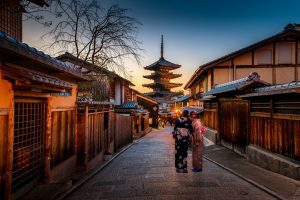 Japan has it all, whether you are looking for UNESCO sites, hiking trails or the best sushi you’ll ever eat. It’s no surprise it’s often the top place for solo female travellers to visit. The country boasts low crime rates and a large and efficient public transport system that is easy to navigate. Even though the language barrier may be daunting, Japan is well suited for the solo traveller, from pod hotels to on-street ramen counters, perfect for grabbing a quick bite. France has a high record of women’s rights, with the country successfully closing 80% of its gender gap. 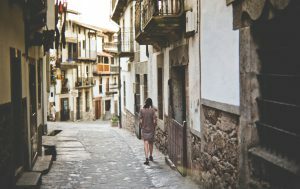 In August 2018 the country banned catcalling and street harassment, so it is a female-friendly destination for the solo traveller. 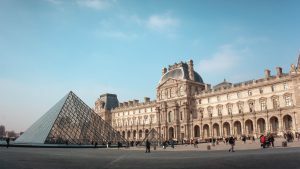 There is so much to enjoy, from skiing in the French Alps, enjoying a good wine in Montmartre to checking out the stars and mega-yachts in Cannes. Just sit back and enjoy the journey and take it all in your stride. 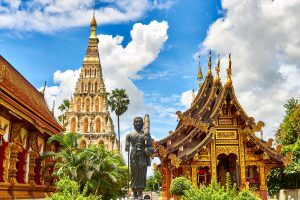 Thailand is the destination to go if you crave adventure and breathtaking scenery. With its idyllic beaches, magical floating markets and national parks, it is the prime country to set out on your first big trip solo. There is a well-established backpacking trail so you will never really be on your own in Thailand. And with reasonable prices and an array of activities, it’s sure to be one for your bucket list. Similar to Japan, Germany has an efficient rail network that allows you to easily move between central cities. From music festivals in the summer to the iconic Christmas markets in winter, there’s plenty of stuff going on to give you the opportunity to make friends along the way. 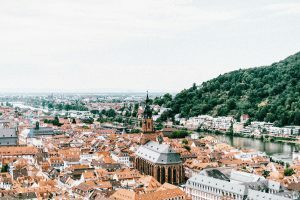 What’s more, is that even if you aren’t savvy in German you will still be able to get by as no matter where you are, many people understand or speak basic English. Portugal is a big hit with solo female travellers due to its stunning scenery but also for its track record in regards to women’s rights and culture. The country has everything to offer, from the quirky cobbled streets of Lisbon to the stunning 150 beaches of the Algarve, you’re bound to find what you’re looking for in this beautiful country. Canada appeals to solo female travellers for its women’s rights record, low crime rates and diverse range of scenery from Niagara Falls to the Rocky Mountains. 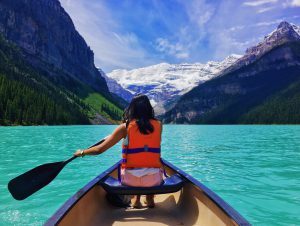 Canada is a great first country to explore as a solo traveller. 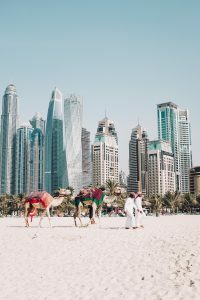 You don’t have to worry about language barriers, the people will go above and beyond to help you and in the cities, there is a vibrant expat scene. If you fancy a taste of Europe in North America Quebec is the best place to go. Montreal boasts quaint cafés a boho nightlife, gothic architecture and French cuisine. Australia is known for its good vibes. The country has a popular backpacking trail that makes it ideal for solo travellers. It is a place where you will find it quick and easy to make friends. It is perfect for the social solo traveller who wants to enjoy great food, even better drinks and non-stop adventures along the coast. 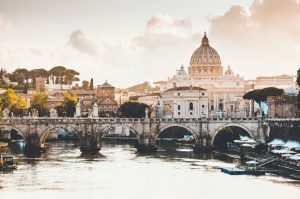 Italy has a culture based on welcoming and providing guests with outstanding hospitality so it’s unlikely that you’ll find yourself alone often. You can enjoy your day exploring all this country has to offer from outstanding UNESCO world heritage sites, one of a kind architecture and blissful lakes and beaches. Not only that, but Italy is the home of good food, from pizza to pasta to ice cream, this will be the best break you’ve had in a very long time. All you have to do is arrive. 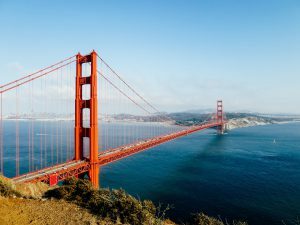 The USA is a vast country offering something for every traveller. 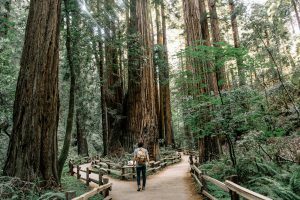 From the buzz of New York City, the beaches of California to the vast open roads of the Midwest, the US has everything to help a solo traveller to get away from it all. There are so many different types of trips you can explore from adventure travel to a beach holiday or a city break. Spain has much to offer, from the thousands of miles of idyllic Mediterranean coastline, copious amounts of sangria, tapas and paella, unique architecture and the gem that is the city of Barcelona. Remember that dinner starts late here, so you’ll have plenty of excuses to stay out all night. Not only that but Spain is rated highly for its women’s rights, with Madrid being the first city to officially ban manspreading on public transport. We hope this article has helped inspire you to embark on your first solo travel adventure. Are you travelling currently and do you have a story to tell? Get in touch with us here. Uni Baggage is now My Baggage. After speaking to our customers and learning more about how our customers use Uni Baggage we felt the name Uni Baggage no longer reflected the wide range of our customers. We have customers that use us for a wide variety of reasons, we started out almost 10 years ago offering our services just to students, now we are open to everyone with 40,000 routes worldwide. Our prices and fantastic service helped us secure more customers than just students and so we need to refresh our brand. This is one of the biggest changes in the history of Uni Baggage! There is plenty to change over the next few days, weeks and months. I would ask for your patience as we update our brand across our website, social networks, emails and everything else that has our name on it! I hope you all like our new brand, it is an exciting time for My Baggage, we will be share updates of the new brand and business over next few months on our social channels, My Baggage Facebook, Twitter and Instagram. So don’t miss out! You can still get a quote and book online 24/7 and check out My Baggage reviews.